Keep your employees’ general wellbeing at a maximum by relying on our unrivalled occupational health services. 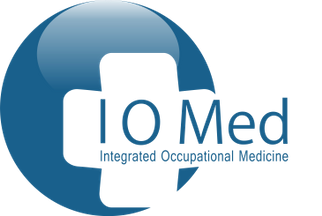 At Integrated Occupational Medicine Ltd, in Sevenoaks, Kent, our skilled practitioners are on hand to provide thorough health assessments. Operating on a quick process and with access to a wide range of resources, we utilise our skills and expertise to be able to diagnose issues and provide expert advice. No matter the business you’re in, we’re able to help you. From cleaners to bankers, our fully trained health professionals are dedicated to helping the staff within your company. Whether it’s behavioural issues or an injury that’s occurred in the workplace, we’re able to assess the problem and tell you if they are fit to work or if it will be an ongoing issue. Once we have identified what’s wrong, we’ll compose a report and get back to the individual. We’ll make sure that you fully understand and are happy with what’s in the content before sending it to the manager. What’s more, we’re able to discuss with you how to manage the employee and how it’s best to handle the situation. When you choose to work with us, you can gain peace of mind knowing that you’re getting a professional service. Offering pre- and post-consultations, our clinics have specialist equipment, allowing us to deal with an assortment of medical issues. We have a network of reputable health professionals that we can refer people to straight away, meaning that you won’t need to sit and wait for your GP. We can diagnose and give decisions straight away based on our experience, which is also more cost-effective for your company in the long run. Contact us today, in Sevenoaks, Kent, to find out more about our occupational health services and health assessments.